Although the trend toward eco-friendly kitchen design, products and appliances is not new, new ‘green’ concepts are consistently being introduced and advanced, and today there is a green choice for almost every kitchen component, from ceiling to floor. 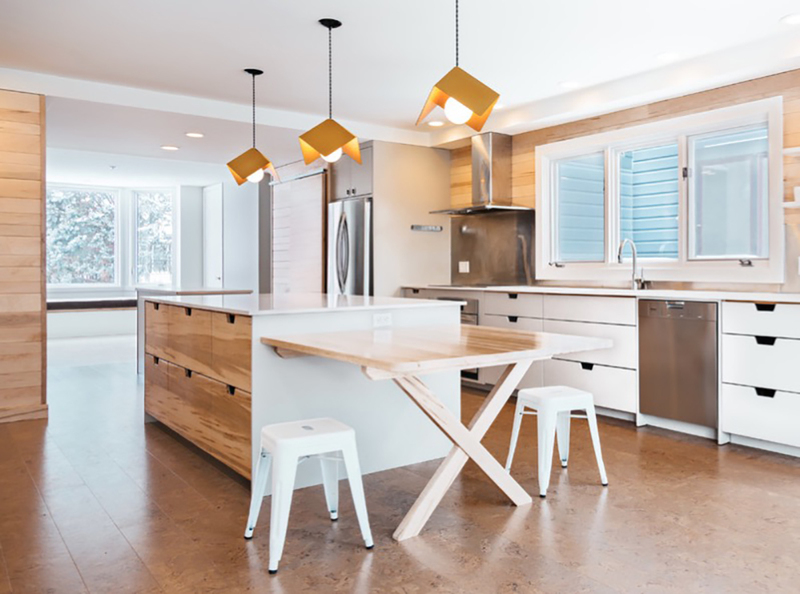 If you are planning on building a new home or renovating your existing kitchen here are some environmentally-friendly flooring, cabinetry, countertop and lighting suggestions. Three eco-friendly kitchen flooring options on trend at the moment are bamboo, linoleum and cork. Bamboo flooring is not only popular because it is sourced from a highly renewable natural vegetation making it eco-friendly, it is also water resistant, easy to maintain, durable and looks great! Note – be sure to look at the volatile organic chemical emissions of bamboo flooring. Because it is manufactured by adhering sliced bamboo stalks together, the resin-based adhesive used may emit VOC’s. Cork is a natural, renewable, biodegradable material harmlessly harvested from the bark of cork oak. It is hypoallergenic and has antimicrobial properties so it is a natural detergent to insects and organisms, and it is a great sound and thermal insulator. Perhaps the greatest attribute of cork flooring is its feel underfoot – soft and forgiving, it is comfortable and you will have considerable less breakages from dropped crockery and glassware. Note – cork flooring needs to be treated and looked after to protect it against water and sun damage, and it is not the most hardwearing surface. Like cork, linoleum flooring is not new, just back in vogue! Made from linseed oil mixed with cork dust, wood flour and rosin, linoleum is another eco-friendly kitchen floor option. Available in a wide range of colours and patterns, you can have a lot of fun with this renewable and biodegradable flooring. Note – linoleum needs to be treated or sealed to protect it from moisture damage so be sure to opt for the most environmentally-friendly product to do so. When selecting your wooden kitchen cabinetry be mindful of what timber is being used, and where it is sourced from. Look for products certified by the Forest Stewardship Council (FSC). All the products manufactured by Superior Cabinet Components are made from timber sourced from FSC approved sustainable forests, and certified as such. 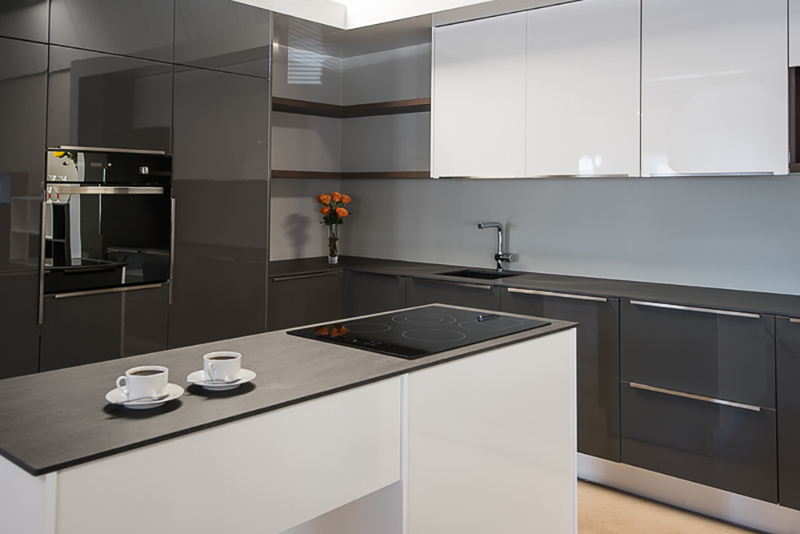 There are so many exciting ‘green’ countertop materials on the market at the moment, some of the most non-traditional include recycled glass, recycled plastic, and aluminium. Although all eco-friendly, each produces a very different look and feel. 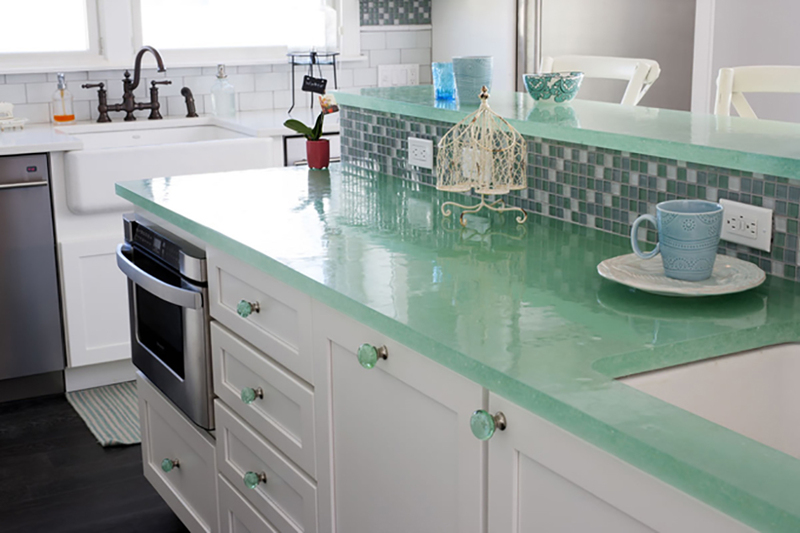 Recycled glass can be made into tiles, mixed into concrete or resin, and even made to look like natural stone. Natural stone is a non-renewable material and excessive quarrying can deplete this material, so recycled glass is a fantastic alternative. The modern industrial kitchen look is quite popular at present, metal countertops are no longer only found in large commercial kitchens. However, if you are interested in this style choose recycled aluminium rather than traditional steel. Mining metal takes a heavy toll on the environment to going with this eco-friendly recycled metal will certain make a difference. We all know the benefits of using energy-efficient lighting in our homes, but better than this, natural lighting is both free and more beautiful. 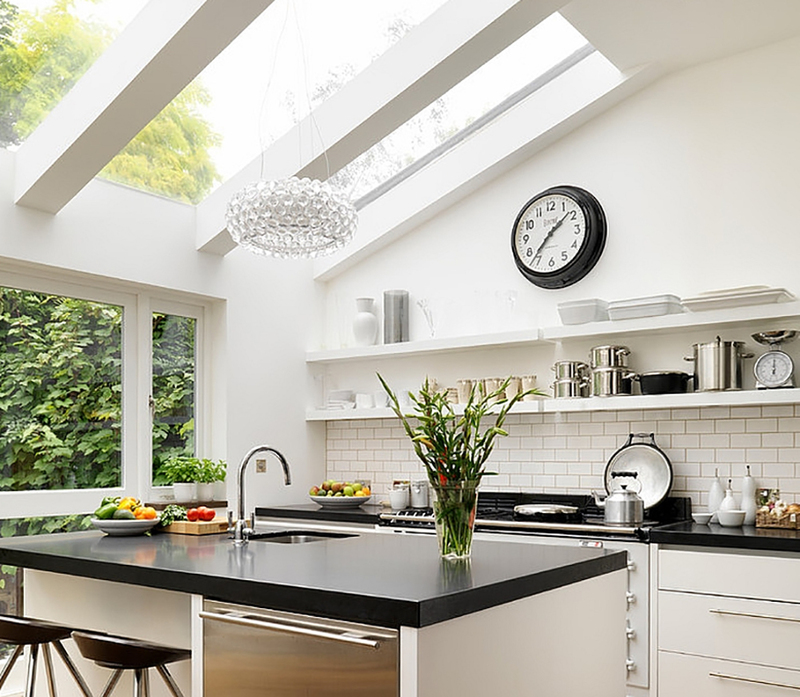 Design your kitchen to include large windows, doors and even sky lights to amplify the natural lighting and ventilation of the space. Whether you opt for one or more of these eco-friendly suggestions, be sure to design your kitchen to last; choose furnishings, features and finishes that have a classic style that can survive transient décor trends, a style that allows you to play with colour and accessories around it.